Halloween may be over this year, but that hasn’t stopped Pop Team Epic, an upcoming TV anime based on the anarchic web comic by Bkub Okawa, from engaging in a little costumed madness with a new key visual. The new key visual features short girl Popuko and tall girl Pipimi dressed as all sorts of characters, ranging from RPG heroines to rockabillies to the walking dead. 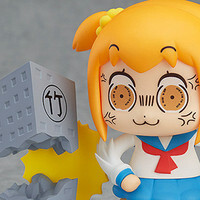 Based on the surreal 4-panel web comic published in Takeshobo’s Manga Life WIN digital magazine, the Pop Team Epic TV anime is directed by Jun Aoki and Aoi Umeki and features animation by Kamikaze Douga. 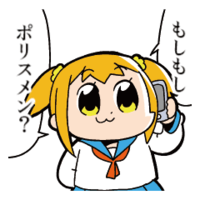 Pop Team Epic hits Japanese airwaves in January of 2018. An English language version of the original manga is also in-production from Vertical, Inc..
"Pop Team Epic" Anime Preview Forgot The Anime!